“He who does not know food, how can he understand the diseases of man?” Hippocrates, the father of medicine 460-357B.C. We are what we eat, right? The same applies to our pets too. Enhancing your pets nutrition with the right foods can do wonders for their health. And these ingredients are not complicated, they are simply sourced on your regular shopping trips. Compared to commercial diets, home-made meals can easily be tailored to your pets specific needs such as age, breed, and energy requirements, while allowing you the flexibility of eliminating any food-based allergies, preservatives, or adjusting for one or multiple illnesses. 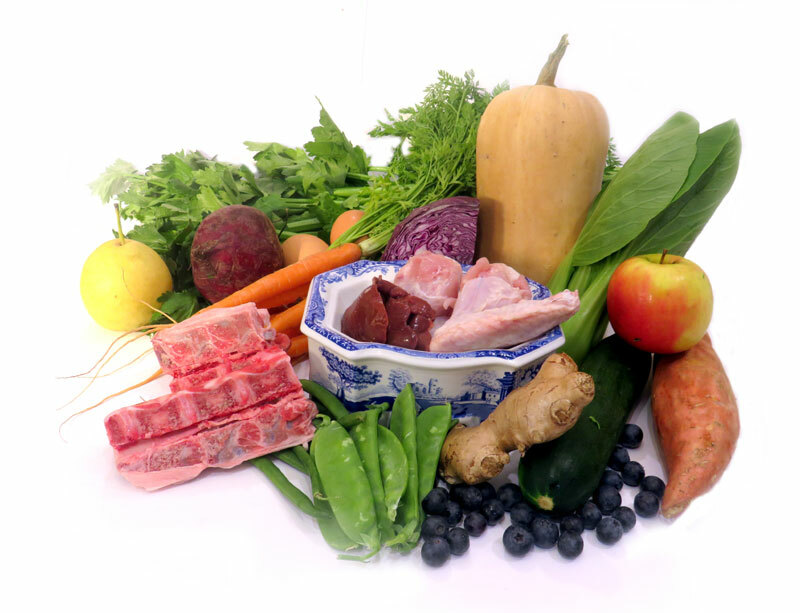 Selecting foods or additives can assist various diseases from supplying core nutritional requirements, extra vitamins and minerals or on the Chinese perspective different meats and vegetables can have beneficial properties such as cooling, warming, or cleansing. A consultation can take you through a few simple steps of what dietary requirements your pet needs. After a few weeks on the new diet you will start to see some great benefits from improved skin and coat, weight stabilisation, better digestion, and a balance of energy levels.